Last week-end we had a chance to attend CBC Live on the Road at Sherway Gardens Toronto, the event where CBC fans had an opportunity to meet favorite stars of News, Radio and TV, talk to them and take pictures. 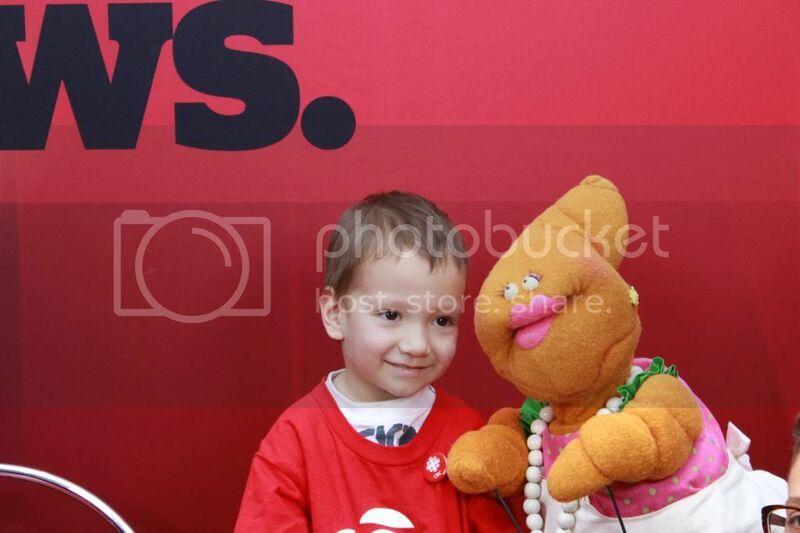 Teddy was so excited to meet all of them especially from KidsCBC: Mamma Yamma and Patty in person. 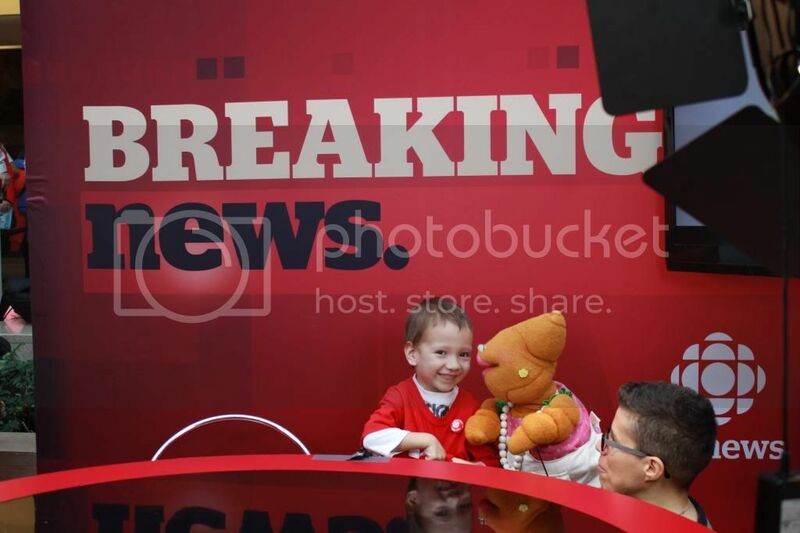 He spent a very good time with them even sitting in reporter's chair with Mamma Yamma and broadcasting Breaking News like a real newscaster.